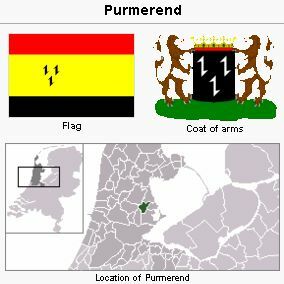 Purmerend, a town (population was 6,737, with 164 Mennonites in 1959; 78,307 in 2007) in the Dutch province of North Holland (coordinates: 52° 30′ 36″ N, 4° 57′ 0″ E). In 1534 it was noted that the Anabaptists were nu­merous here; many of them belonged more or less to the revolutionary wing of Anabaptism; 30 Ana­baptists of Purmerend who had joined the trek to Münster in March 1534 were seized en route. On 22 September 1540, Lambrecht Jacobs Grootboot of Pur­merend, a follower of Jan van Batenburg, was executed. But soon there were also peaceful Anabaptists and Mennonites. At the end of the 16th century there were three Mennonite congregations in Purmerend, a Waterlander, a Frisian, and a Flemish. Of their history not much is known. Delegates of the Purmerend Waterlander congrega­tion attended a general Waterlander conference at Amsterdam in 1581. In 1695 the Waterlander and Frisian congregations merged and in the next year built a new church on the Pottenmarkt. A Flem­ish congregation had merged with the Frisians be­fore 1695. In 1727, 1733, and 1734 it contributed liberally for the needs of the oppressed Prussian Mennonites. 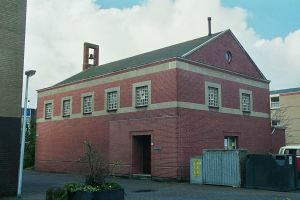 The Purmerend congregation, which in the 18th century belonged to the Waterlander Con­ference as well as the Zonist Conference, was at that time in a state of serious decline. During 1731-1794 it had no preacher, in 1795 only 33 members. In the 19th century it began to increase: 67 in 1836, and 246 in 1899. Then it declined again, having 220 members in 1926, and 164 in 1958. The present meetinghouse with organ was built in 1864. In 1944 the congregation joined the Beemster congregation for preaching service and religious in­struction. Since 1794 the following ministers have served here: Klaas Honig Jzn 1794-1832, P. Cool, the first minister serving here who had been edu­cated at the Amsterdam Seminary, 1833-1836, L. G. Bavink 1836-1873, L. F. Goteling Vinnis 1873-1890, J. Westerman Holstijn 1891-1908, D. Pottinga 1908-1912, F. ten Cate 1912-1916, M. J. Kosters Gzn 1917-1923, F. J. de Holl 1926-1929, W. Banga 1930-1944, Miss Aafke Leistra 1944-1956, and A. Zwartendijk 1957- . There was a ladies' circle, a youth group, a church choir, and a Sunday school for children in the late 1950s. 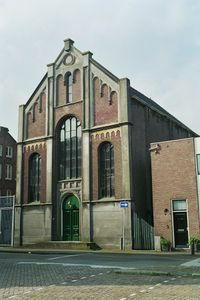 In 1989 the congregation moved from its location at Kanaalstraat 10 into the former Roman Catholic Chapel, built in the 1950s, that belonged to the St. Liduina Hospital. Cate, Steven Blaupot ten. Geschiedenis der Doopsgezinden in Holland, Zeeland, Utrecht en Gelderland, 2 vols. Amsterdam: P.N. van Kampen, 1847: v. I, 24, 28, 252, 354: v. II, 68, 201 f., 204, 232. Doopsgezinde Bijdragen (1864): 176: (1865): 167: (1872): 57: (1877): 79: (1910): 71: (1917): 111. Hege, Christian and Christian Neff. Mennonitisches Lexikon, 4 vols. Frankfurt & Weierhof: Hege; Karlsruhe: Schneider, 1913-1967: v. III, 413. Hoop Scheffer, Jacob Gijsbert de. Inventaris der Archiefstukken berustende bij de Vereenigde Doopsgezinde Gemeente to Amsterdam, 2 vols. Amsterdam: Uitgegeven en ten geschenke aangeboden door den Kerkeraad dier Gemeente, 1883-1884: v. I, Nos. 37, 56, 60, 80, 98, 232, 474, 745, 1180: v. II, Nos. 2187-93: v. II, 2, Nos. 304-31. Naamlijst der tegenwoordig in dienst zijnde predikanten der Mennoniten in de vereenigde Nederlanden. Amsterdam, 1796: 58 f.
Zijpp, Nanne van der and Richard D. Thiessen. "Purmerend (Noord-Holland, Netherlands)." Global Anabaptist Mennonite Encyclopedia Online. October 2014. Web. 25 Apr 2019. http://gameo.org/index.php?title=Purmerend_(Noord-Holland,_Netherlands)&oldid=146075. Zijpp, Nanne van der and Richard D. Thiessen. (October 2014). Purmerend (Noord-Holland, Netherlands). Global Anabaptist Mennonite Encyclopedia Online. Retrieved 25 April 2019, from http://gameo.org/index.php?title=Purmerend_(Noord-Holland,_Netherlands)&oldid=146075. Adapted by permission of Herald Press, Harrisonburg, Virginia, from Mennonite Encyclopedia, Vol. 4, p. 235, 1147. All rights reserved.